Wow, this palazzo pants are amazing! Love so much your look! So stylish and awesome outfit! I like your pants! Wonderful outfit! You look really chic! Lovely pants. I'm feeling the boho vibes from your look! woow, this look is gorgeous and the photos are amazing! So happy I found your blog, you have an amazing style and your photography is so beautiful! This is an amazing look and the photos are fabulous! So beautiful, I love this outfit! beautiful look! love how the pants look on you. been looking for a pair of wide legs pants like those. in love with ur hat! OMG they look amazing on you!!! Wish i could pull them off but im too scared to even try them on! Wow you totally rock these palazzo pants! i love their print and the combo with the top and hat! Effortlessly chic! 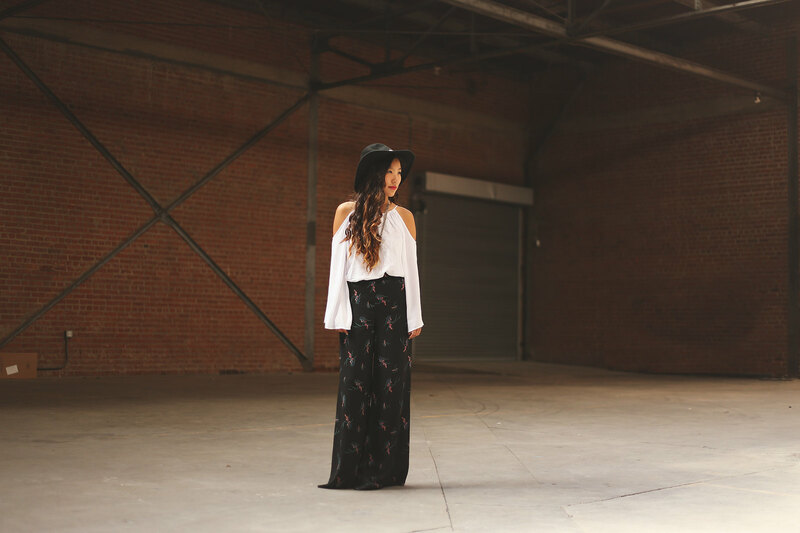 Love the cold shoulder with the wide leg pants! Lovely pant!! I love the photos! You're definitely rocking them! I'm not too sure if I could personally pull them off though, haha. 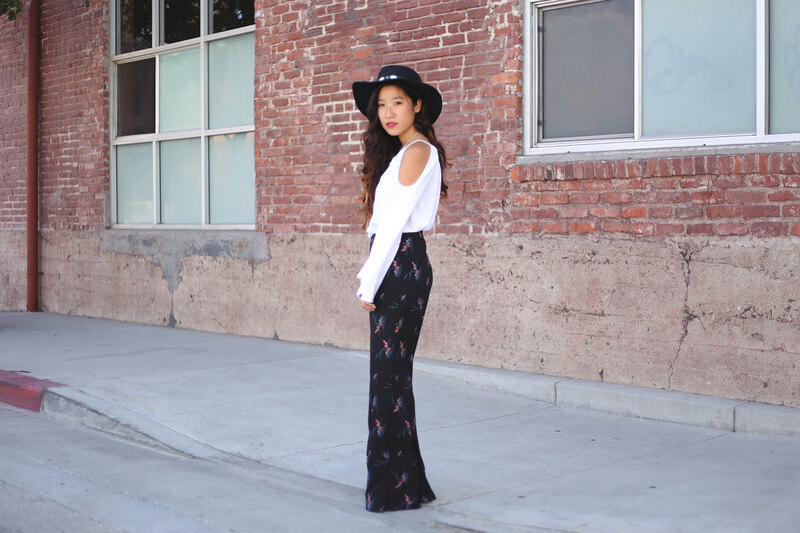 The palazzo pants look way to cute on you. Great styling. Aaaamazing palazzo pants, I don't have these kind of trousers but I know Zara has some amazing ones every now and than! Maybe I should try them out this summer, thanks for the inspiration and your lovely comment!